I have a new oven! Which displays the temperature! Gone are the days of guessing what it might be; my new trusty oven tells me. 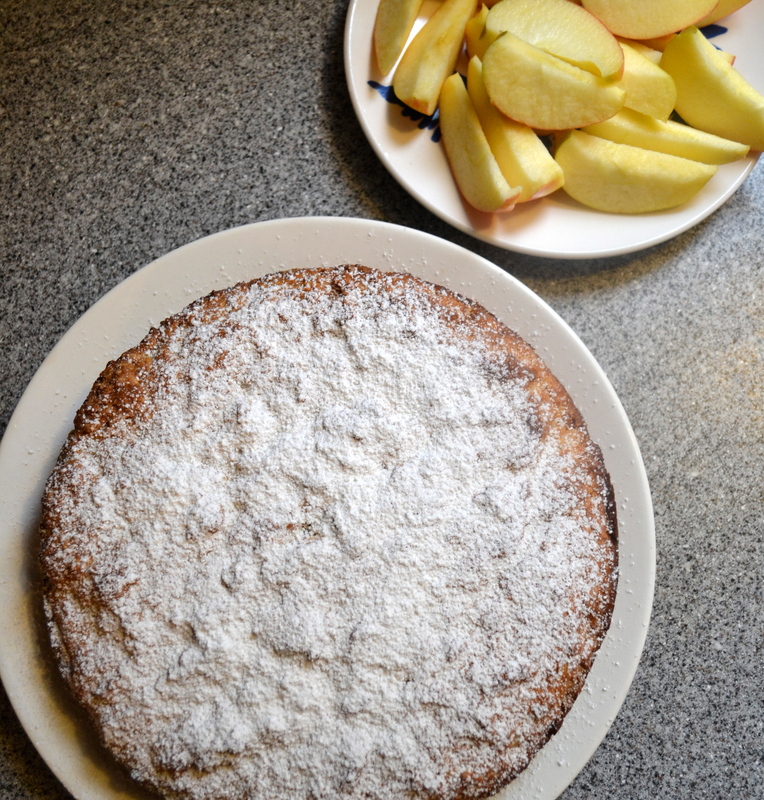 To celebrate the joys of modern life I decided to make cake for breakfast. Not even coffee cake, just CAKE. I felt like Bill Cosby. Not as out there as it may sound at first. 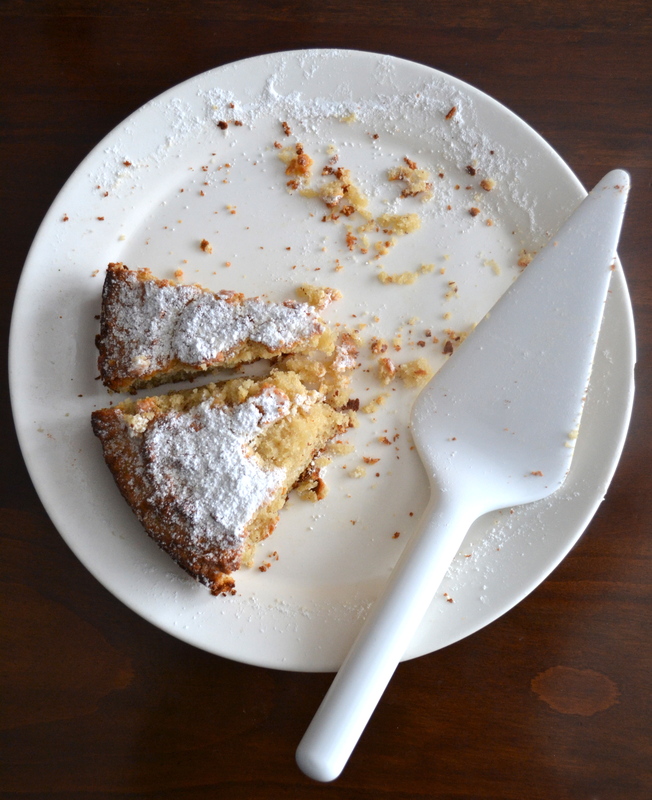 Plenty of coffee cakes are worse than plain old cake with their cream cheese marbeling or butter/sugar crumb topping. I would put this morning’s cake on par with pancakes and maple syrup. Add a side of fruit and it’s a happy morning. We even ate breakfast at the dining room table with Irish Breakfast and rooibos tea and real actual cloth napkins. 1) Preheat oven to 350. The cake batter will not take long to put together. 2) Whisk all the wet ingredients together. I had to microwave my coconut oil for a minute to melt it as it wants to stay solid in the winter months. 3) Add the sugar and mix in with the wet ingredients. 4) Add the flours, baking soda and nutmeg. The batter will be fairly stiff. 5) Butter and flour a cake tin (or use baking parchment). Smooth the batter down a bit with a spatula. Then bake in the oven for about 50 minutes at 350. Dust with powdered sugar if you like. 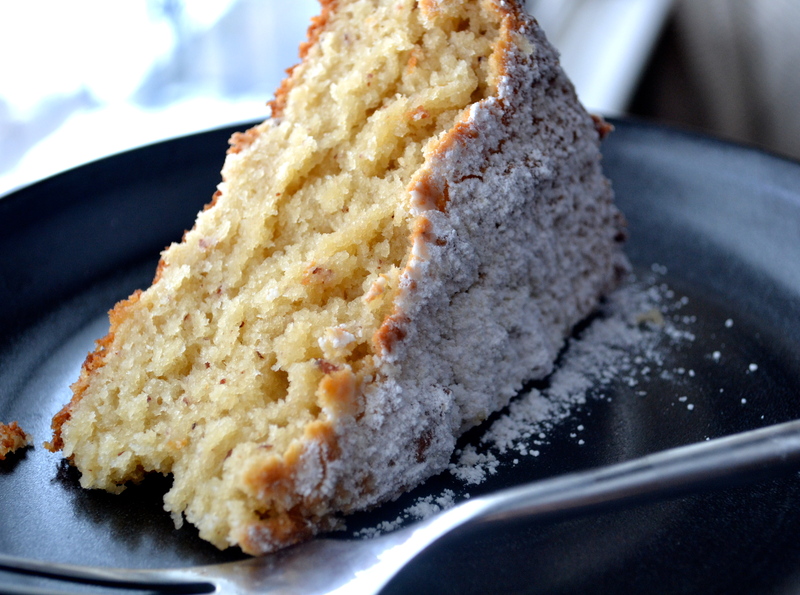 The top has a crumbly texture and the cake itself is super moist and delicious. Enjoy! Looks irresistible! My oven still isn’t working (it sets the fire alarm off anytime it’s turned out) and I can’t wait for it be working so I can bake again! You poor thing. Hope you get it sorted soon. Or even get a new one! I know! I’ll put another call into the apartment management today! They said they fixed it once… Maybe this time will be the charm. Thank you, it was pretty delish! what size layer cake pan did you use? 8 or 9″? also, I’m assuming this recipe would just fill ONE pan, not two?